A recent ESRB ratings leak for Castlevania Requiem hinted that an official announcement might be on its way and here it is. 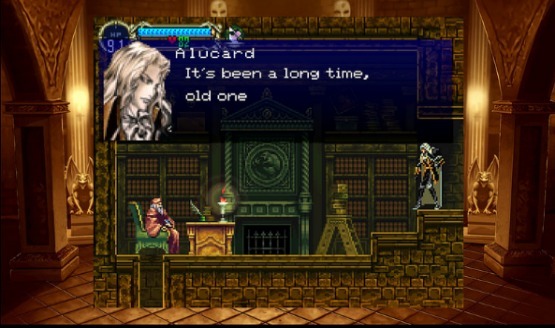 Castlevania Requiem includes Castlevania‘s Symphony of the Night and Rondo of Blood and will be released on October 26, 2018 exclusively for the PlayStation 4. According to the PlayStation Europe Blog, both games are the originals emulated on the PS4, but you can expect them to look a lot sharper when the take advantage of the PS4 hardware. [Castlevania Requiem] includes 4K/1080p upscaling, multiple high resolution backgrounds, different rendering options such as smoothing and full Trophy support… Elsewhere, Requiem will make use of the DualShock 4’s vibration, analogue stick and speaker, with the latter meaning you’ll hear a cool little chime when you pick up an item. In case Castlevania: Symphony of the Night and Rondo of Blood weren’t challenging enough before, now you’ll have a platinum trophy to go for. Whether you’re a newcomer or a long time fan, Castlevania Requiem will give fans the best way to experience these games and its only on PlayStation 4. You’ll be able to preorder Castlevania Requiem: Symphony of the Night & Rondo of Blood later today on the PlayStation Store, so you’ll be ready to go when the game releases October 26, 2018.